Go to the App Store (Apple or Google Play) on their phone. Search for and download the "Flume Water" App. 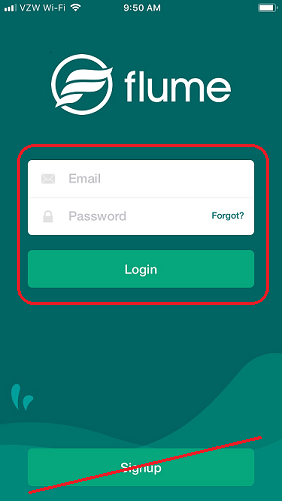 If you accidentally click on the “Sign Up” button and are asked to fill out User Information, simply click on the back arrow in the upper left hand corner. At that point you will be able to enter your original email and password. If you have any questions, please contact us at support@flumetech.com.